Join Dhoot LGV Training Program In Northolt, London To Get Your License In 5 Simple Steps! Getting a driver’s license seems to be the toughest job in the world as the government is becoming stricter with the regulations and the tests. 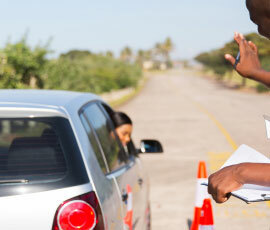 They want drivers to know everything about their vehicle, the traffic rules and the right way of driving. This therefore, demands both theory and practical knowledge. If you do not want to undergo the pain of running from one place to another and applying for your license, then Dhoot training, Northolt, London should be your first destination. If you take the right decision and join the LGV training program, you will soon realize that things are much easier. Proper guidance and training provided by experts is the strength which will allow you to give your best in any kind of test for the license. The process is completed in 5 simple steps. Selecting the trainers is indeed the most important part of the whole process. If you land up in safe hands, you are assured of proper training. You will come across a number of companies offering training, but then you need to choose the best one of them all. This is possible only when you meet the representatives and understand every detail involved in the program. You will be able to compare and differentiate easily and hence taking a decision is not rocket science. Why Dhoot Training? If you live in Northolt, London, you do not have to search a lot. Dhoot training is a reliable and renowned company for its valuable training programs. All you need is to approach the training provider and discuss your needs. You can even collect information about programs online. The company offers various programs depending upon the duration and the learner’s budget. Programs like C1+E-license are mostly preferred by people who wish to become professional drivers. Medical examinations are a must if you are applying for programs for C1 + E – 7.5t and trailer training. This ensures that you are fit enough to drive a heavy vehicle. The doctors perform various test for eye sight, blood tests etc. Once your medical examination reports are normal, you need to apply for the license. Initially you will get a provisional license according to DSA rules and regulations. For this, you will have to fill the form. Why Dhoot Training? At Dhoot Training, Northolt, London, you get appropriate assistance from the very beginning. Thus, you do not have to worry about the application forms. The trainers know about everything and therefore, they help you fill the forms correctly without any errors. This not only helps you save time but also ensures that your application will not be rejected by the authorities. The first test that everyone has to sit for is the theory test. 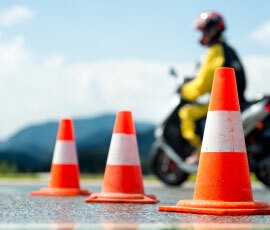 The test includes questions that test your knowledge about different aspects involved in driving. Hence you need to be well prepared. Why Dhoot Training? At Dhoot training, Northolt London, you will be provided manuals and other relevant material related to the theory test. The trainers will guide you every moment and help you understand all the concepts and rules so that you pass the test without much effort. You just need to attend the sessions and learn everything that would make you a good professional driver. Once you pass the theory test, the next step would be the practical examination. Yes, the authorities believe that the drivers should practice everything they learn. This is why they conduct a practical test to see if the applicant really understands the concepts he learnt from books. Why Dhoot Training? When it comes to practical tests, you will not get better assistance than the Dhoot training programs. There are sessions for intensive practical training where you will be actually driving the vehicle with the trainer. The trainers keep an eye on your actions and correct you wherever required. Eventually, before you appear for the practical test, you are already aware of every small detail and thus, there is no scope of any mistake. However, if in case you are not able to clear the test, there is a provision of pass protection. Here, you can sit for the tests again and get your license. Even after the LGV license, you need to clear the CPC driver test. This test is meant to check your competency as a professional driver. Why Dhoot Training? At Dhoot training, you can prepare for the LGV license and CPC driver test. This means that as soon as you get the LGV license, you need not wait to find a CPC training program. You can begin with the training and get the license in no time. Once you have both the licenses, you can start off with a career. Thus, Dhoot training is indeed the ultimate destination for people like you who want to become professional drivers in the shortest possible time.